The purpose of this case study is to look at the future impact of social media on organizations. The premise is an expected progression of social media use integration with other integrated information technology–based systems will increase organizational performance. It is a popular opinion that despite enormous potential, most organizations have failed to capitalize on inter-stakeholder collaboration because the elusive but profound emotional factor, being able to trust partners without fear of exploitation, is an almost impossible obstacle to overcome in most existing business-to-business transactions today. The premise then is that the trust factor is likely to continue to be a hurdle in the future. The premise is that through social media integration, collaboration on improvements to product and process performance are possible at all levels and offer the opportunity for substantial benefits. The above are the premises behind the examination of the future impact of social media on organizations. Let’s first be clear: what social media integration platforms are being put forth to change the nature of knowledge work and management inside organizations? In 2016, products like Jive, IBM Connections, Salesforce Chatter, Cisco Quad, Microsoft Yammer, Google Apps for Work, Facebook at Work, Facebook Messenger, etc. were indeed being used to improve performance and foster innovation. In 2017, Slack for chat, JIRA for task and issue tracking, CONFLUENCE for wiki, and GOOGLE DOCS for document editing and management are being integrated rapidly in transformative technology businesses. Social software integration will become a vital tool for transforming virtually every part of business operations, from product development to human resources, marketing, customer service and sales – in a sense becoming the new intra-operating system for the twenty-first century organization. But what if it is already recognized there are clear limitations on today’s suite of tools? And what about that small matter of trust – just what are the economic issues (apart from the ethical ones) about the importance of trust in business? Let’s define trust as the expectation the other party will behave according to the core principles of integrity: honesty, consideration, accountability and transparency with respect to buying and selling goods and services and to the integrity and protection of information. According to the 2017 Edelman Trust Barometer Global Report, trust is in crisis around the world in all four key institutions – business, government, NGO (non-governmental organizations), and media, a first-time phenomenon since Edelman began tracking in 2012. CEO credibility is at an all-time low; trust in media and social media has declined; and peers are now as credible as experts. If, then, trust in our institutions, including trust in social media, are in decline, and peers are now as credible as business and institutional experts, how, then, can this eroding integration, social media in the business organization, foster the opportunity for substantial benefits? As dismal as this last question could portend, I believe we have a very bright future ahead of us based on the collaboration of forward-thinking behemoth companies, NGOs, and cutting-edge start-ups focused on developing and designing products or services that benefit not only other enterprises but act equally on improving social good on a global scale as well. Today, blockchain technologies make that possible. Joseph Lubin is the CEO and founder of Consensys Systems, and co-founder of Ethereum. Ethereum  is a platform that runs decentralized applications, namely smart contracts, exactly as programmed without any possibility of downtime, censorship, fraud, or third party interference. Ethereum is like bitcoin in that its ether (its commercial token of value) motivates a network of peers to validate transactions, secure the network, and achieve consensus about what exists and what has occurred. Unlike bitcoin, it contains some powerful tools to help developers and others create software services ranging from decentralized games to stock exchanges to verifying the supply chain, to name just a few. Ethereum was conceived in 2013 by the then 19-year old prodigy, Vitalik Buterin, who was a University of Waterloo student at the time. Buterin argued to the bitcoin core developers that its blockchain platform needed a more robust scripting language for developing applications. When bitcoin rejected him, Buterin decided to craft his own platform. In January, 2014, he published his white paper, Ethereum: A Next Generation Cryptocurrency and a Decentralized Application Platform . Joe, and his son, Kieren, were home for Christmas and both had read Buterin’s white paper. By chance, Joe found out Buterin was speaking to a group in early January in Toronto, and Joe, who lives in NYC, extended his stay to attend the Toronto meeting. Kieren returned to California where he was a PhD student in mathematics and physics. 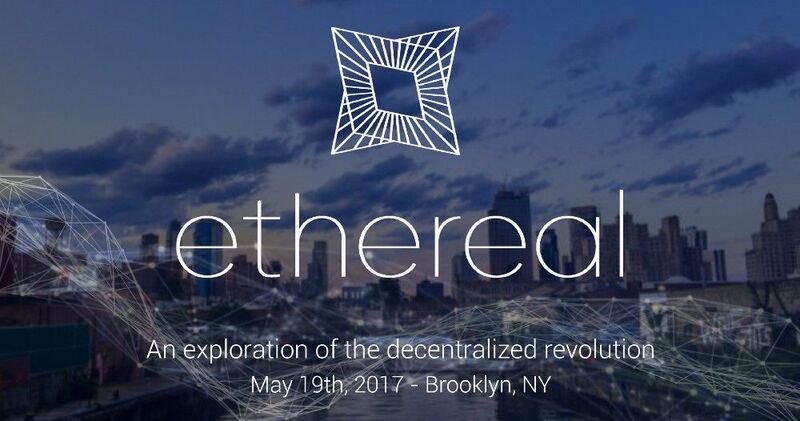 To quickly summarize, with his sophisticated software engineering acumen and deep Wall Street experience, Joe, along with several others, helped Buterin develop Ethereum, and within seven months, it officially launched successfully, under Joe’s auspices, in July, 2014, in Brooklin, NY. Describing what Ethereum does is not easy, and I have spent an inordinate number of hours trying to get a consumer’s grasp of its revolutionary concepts. I urge you to read the link for a richer and far more complete explanation. According to Joe, Ethereum essentially represents the first general purpose world computer that has, as its core value proposition, being non-repudiable. Because of its mathematics, everybody can have a piece of, or can have all the data; everybody can see all the business logic that affects the data that everybody can trust; and no minority actor can improperly affect the data or the system. In effect, it represents trustful computing and transparency. Ethereum is also the only blockchain with a common continuum between public and private implementation environments. It is ironic that the inventor of the world wide web in 1991, Sir Timothy Berners-Lee, put it on a decentralized platform. Anyone could publish a website and link to any other site. But as the web has grown from an obscure research-sharing tool for the scientific community into a global medium for commerce, communication, journalism, and entertainment, the power dynamics have shifted. Today, huge companies like Facebook and Google dominate the web. These corporate giants enjoy an enormous amount of control not only over what people see and do online, but over users’ private data. Berners-Lee recently commented, “A tipping point could be reached where people will realize “that data belongs to me.” Note to self: ask Joe if he and Berners-Lee are in discussions. Let’s back up a bit. Joe helped launch Ethereum in July 2014. In early 2015, Joe launched ConsenSys to create Ethereum-based apps as Ethereum was not in the scope to build lots of decentralized applications at the application layer. It was more focused on the protocol layer. Joe started ConsenSys to do exactly that, to build a lot of projects, products, companies, for the public Etheruem blockchain, and those are things that can also be deployed on private-permissioned Ethereum blockchains. By late 2015, Joe was very busy on the consulting front, building and advising companies on blockchain strategy, building software for them in the insurance industry, general financial services, healthcare, energy, music, film, and supply chain management, to name just a few. Joe has a bold mission, not just to build a great company, but to solve important problems in the world. His company’s client list is a who’s who of business: from several central banks; to putting Dubai on the blockchain; through ICO’s, cryptocurrencies, and crowdsourcing, to lower the barriers for entrepreneurs; prediction markets for business, sports, and entertainment; supply chain authenticity for the leading world oil and gas explorer, health-record companies, and bank settlement transactions; the United Nations to help the disenfranchised authenticate the identities of 2.4 billion people who are not on a legacy data base; and to help stop child slavery and human trafficking in the supply chain by helping the supply chain adhere to standards of authenticity, sustainability, and ethical behaviour; and the ConsenSys client project list goes on. ConsenSys is not only about its ambitious blockchain-based products or services, it’s about its efforts to cultivate a company of its own, pioneering important new ground in management science along the lines of a holacracy, a collaborative rather than hierarchical process for defining and aligning the work to be done. In Joe’s words, “While I don’t want us to implement holacracy as is – it feels way too rigid and structured to me – we are working to incorporate many of its philosophies in our structure and processes, such as dynamic roles rather than traditional job descriptions, distributed, not delegated authority; transparent rules rather than office politics; and rapid reiterations rather than big reorganizations”. Overall, “everyone is a self-managed adult. Did I mention we communicate a lot? Then we all make our own decisions. “ All of these describe how blockchain technologies work as well. Joe walks the talk in ConsenSys. In late 2015, ConsenSys spun off its first subsidiary, BlockApps, cofounded by Victor Wong and Kieren James Lubin, former PhD student, the first company to offer Blockchain as a Service (BaaS). It now has 200+ enterprise customers including industry giants in technology, insurance, banking, healthcare, smart cities’ initiatives in Dubai and China. “We see BlockApps as the infrastructural blockchain database of companies in the future”, Bo Shen, managing director of Fenbushi Capital , noting BlockApps’ early success on the Microsoft Azure cloud and Red Hat Openshift platforms in the US. In partnership with KPMG, Microsoft India is using BlockApps to accelerate the digital transformation in large and mid-market enterprises in the country. A land-mark success in supply chain authentication was accomplished by BlockApps in 2016. The world’s largest mining firm by value, BHP Billiton , used Ethereum blockchain to record movements of wellbore rock and fluid samples to better secure the real-time data that is generated during delivery, thus enabling benefits for its internal efficiency while allowing it to work more effectively with partners. BHP relies on vendors at nearly every stage in the mining process, contracting with geologists and shipping companies to collect samples and conduct analyses that drive business decisions that occur with parties distributed across continents. With the help of a solution developed by BlockApps and ConsenSys, BHP intends to begin requiring that all its vendors use the technology to collect live data and to do so through its global distribution. BHP now has a constant understanding in real-time instead of tracking everything through spreadsheets. It also proved provenance as the blockchain solutions can achieve decentralized file storage, multi-party data acquisition and immutability, all aspects that enhance the supply chain. Working with BHP was a win-win for BlockApps, too, as Kieren James Lubin commented that the collaboration with BHP was one that had significance for the broader blockchain space as it was not about value movement. BlockApps had so many financial use cases and this was one of the first instances where Kieren was using it for a non-financial scenario. The app also helped his startup learn more about the needs of enterprise institutions, helping it advance and iterate on a user experience that would be accessible to those who are less familiar with its inner-workings. BHP proved the case: the Ethereum BlockApp works. But there is a far more profound use for BlockApp in the supply chain now. A deeper truth was spawned at May 2017’s Ethereal Summit about supply chain – exposing its dark shadow. Joe Lubin and ConsenSys, and Brian Iselin, founder of freeslavetrade, a non-profit trying to usher in a new way of human consciousness, announced they are now working together to use Ethereum blockchain to certify goods as free of slavery through BlockApp’s new dApp (decentralized app) “Authentic”. Brian is a former federal agent in counter-organized crime and counter-intelligence who was in the field for 17 years looking at slavery where it occurs, has seen the children making the goods, and has seen the opacity in the supply chain. He started his non-profit, freeslavetrade, to do his part to stop businesses profiting from selling goods made through slavery, many of them children. Brian estimates there are about 45 million people enslaved around the world. About 85% of brands sell goods made by one of these 45 million people. So when he heard businesses say they only do Tier 1 or Tier 2 tracking in their supply chain, he and ConsenSys partnered to get the information needed to counter a brand’s claim there is an untraceable component to finding out the origin of goods. Brian estimates slavery in supply chain accounts for about 80% of all slavery, and as much as 85% of brands source their products from slavery. Both he and Joe believe it is the consumer’s responsibility for ethical consumption in the supply chain to shine a light where slavery occurs and never before has business been brought to the table to address it. The missing link is the consumer who has all the power to force brands to get the information they need about slave-produced goods. Although 45 million is an overwhelming number, the correct response is not to be overwhelmed but for each of us to use our buying power and product choices to tell business they need to think hard about the way things are made. As a consumer, you can walk into a store and ask if the tie or shirt is slave-made. And it’s not good enough if the salesperson says they don’t know. If consumers start with those questions, things will start to change. Transformative technology like Ethereum blockchain is going to do amazing things to eradicate slavery from the supply chain, helping release some of those 40+ million people from slavery. But transformative technology is almost useless unless it goes hand-in-hand with human consciousness, and that starts with the consumer. And on a final and another altruistic note, BlockApps offers Ethereum Blockchain Developer Courses free of charge to any young software developer. The purpose of the case study is to look at the impact of social media on organizations. There is an irony regarding the result. The original premise was that social media would make these barriers much harder to justify versus the organizational benefits that will be possible through increased sharing of information. Social media has an enormous responsibility to shape public perception, to shape the future of how people understand blockchain, a very complex technology, in a positive way. Its terms need definition but much like how people don’t need to understand the theory of electricity to appreciate being able to turn on a light, people will probably not need to have a granular level of understanding the blockchain when it becomes part of the public awareness over the next number of years. It’s only the digital media, the big tech tabloids, that are reporting at the moment on Ethereum (Time, Forbes, Bloomberg, Fast Company, for example). ConsenSys and BlockApps use Facebook and Twitter regularly to announce their enterprise developments, but there is a conspicuous silence (Vitalik Buterin names it a “blockchain blindspot” ) around the likes of Google, Facebook, Whatsapp, Apple and Amazon meeting with Ethereum to discuss collaboration and enterprise sharing of data. The Company has heard from banks, energy companies, manufacturers, Microsoft, and government, but pretty much nothing from the giant social media companies. The irony then? It’s not social media that is the driver behind reducing the barriers and creating organizational benefits, but the organization itself, in this case, ConsenSys, that is the force behind sharing of information and establishing immutable trust in business to business processes. But the real lesson about ConsenSys is not its technological description, “a decentralized platform that runs smart contracts: applications that run exactly as programmed without any possibility of downtime, censorship, fraud or third party interference”. It is about what it does, and will do, to the world and the way people interact. There is a powerful human element at the heart of ConsenSys. The Ethereal Summit was an extraordinary backdrop of the coming together of the crowd, people, a testament to the powerful ideas shared there. Very different groups of people, from very different walks of life, are at the heart of the success of Ethereum and ConsenSys. Tech giants, coders, financiers, non-profits, students, artists, UN’ers, banks, entrepreneurs, social entrepreneurs, and techpreneurs all gathered to discuss and dream the unimaginable. Transformative perhaps even revolutionary technology, but at its heart, in its deepest core, was the celebration of immutable truth, the proof that business data could be trusted, the knowing that peer-to-peer self-sovereignty, re-empowering the individual, that this transformative decentralized technology can let the little person in everywhere, that the consumer can have a voice in stopping slavery in the supply chain, is truly remarkable, and that is a story that can change the world.